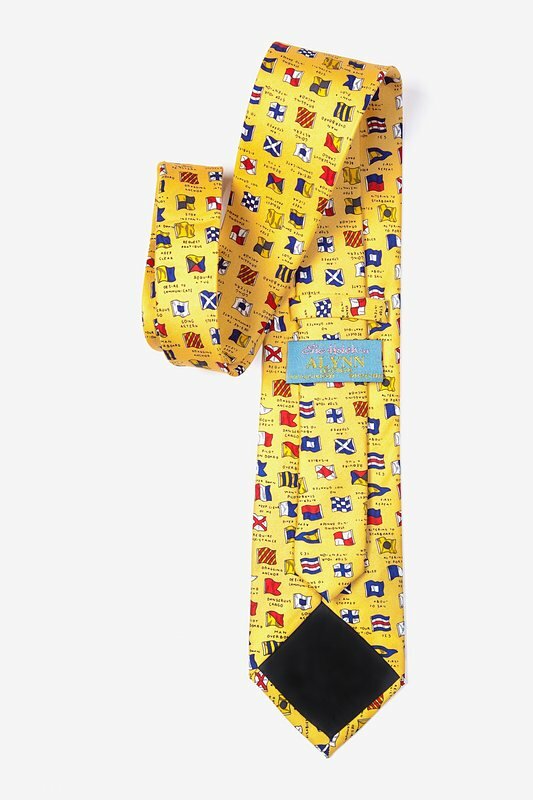 Let this Boating Signals Tie keep you afloat and help you navigate through the workweek. This unique 100% silk Alynn Neckwear necktie features an array of boat safet... read more Let this Boating Signals Tie keep you afloat and help you navigate through the workweek. 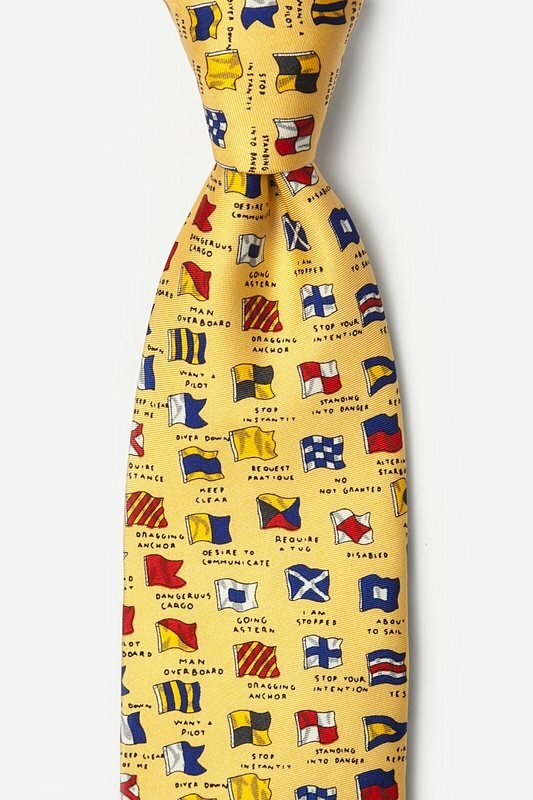 This unique 100% silk Alynn Neckwear necktie features an array of boat safety signal flags atop a light yellow background.